If the Mayan 2012 end of the world thing wasn’t enough sign that the end is nigh, then certainly the Sovereign Sect issuing an Apocalypse Series Box Set, stored in military grade arms case is proof positive. With only 3 months and some change I promptly ordered my case. A Workshop collectable survival kit is not something I would dream of passing up. This rugged case is the real deal too. No plastic. Once the boards are shred to pieces you could hide all kinds of stuff in the case. 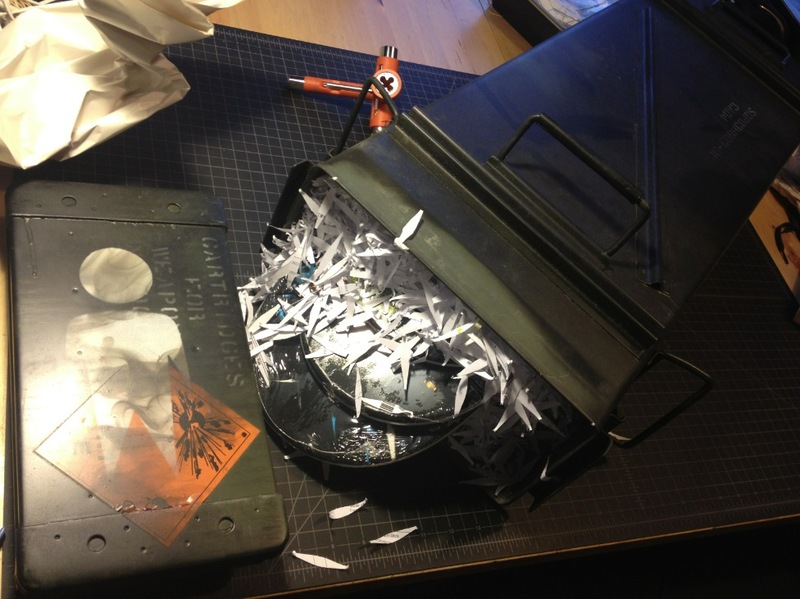 When opened up you find that the boards are solidly packed in shredded documents. Take a close look kids, there are no accidents here. Call it art if you’d like. I call coded messages. 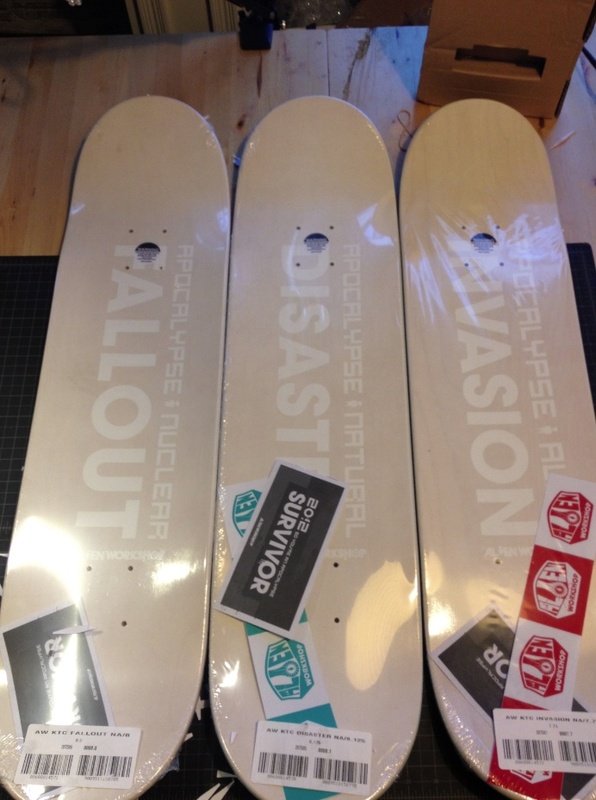 The top side of each deck is emblazoned with one of the apocalyptic fates that is surely but a dozen of weeks away. Fallout, Disaster, and Invasion. There are only 50 49 sets. 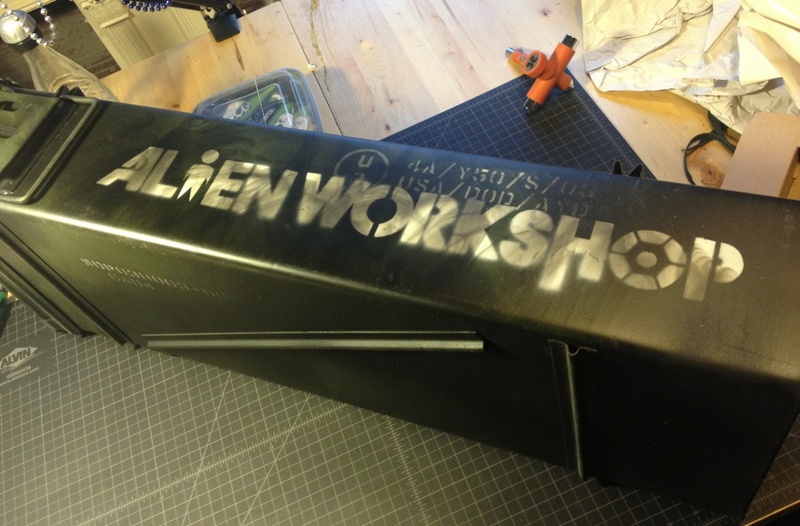 So head over to the AlienWorkshop and get yours before its to late. Does just 1 come with the box? Three decks come in the box. Good luck finding one. Only 55 boxes were made. 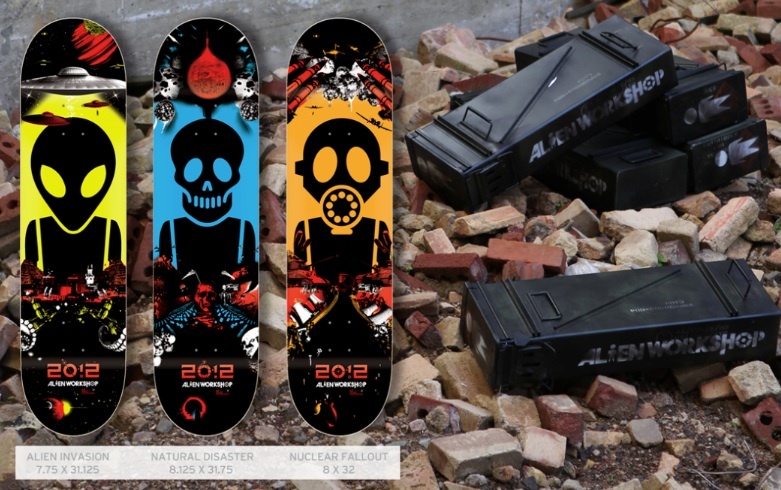 You can get the decks individually from Aliens website.